Our team sees children with disabilities who require special equipment to sit, stand or move. Your team is made up of a group of people with different specialties that include physiotherapists, occupational therapists, seating technologists, rehabilitation technologists, and an engineer. Visit the Seating and Mobility website to learn about how to promote networking and information exchange amongst individuals and agencies with a shared interest in adaptive seating and mobility. The team sponsors the International Seating Symposium, which is held in Vancouver. 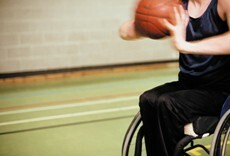 This biannual symposium is attended by professionals worldwide who share a focus on wheelchair seating and positioning. ?You need a referral from a doctor or another Sunny Hill team to use this service.?? ?